As the Ramadan is in summer season, a lot of people opt for easy to cook scanks for iftar. 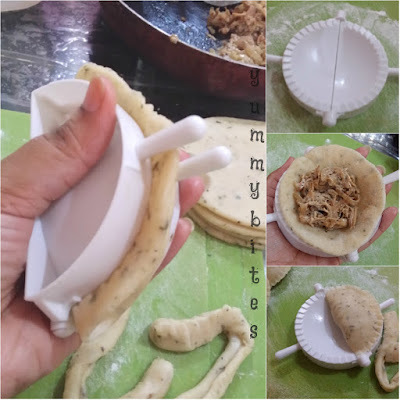 The recipe below is very easy, tasty and very different recipe from usual samosa, pakoras and other basin products. 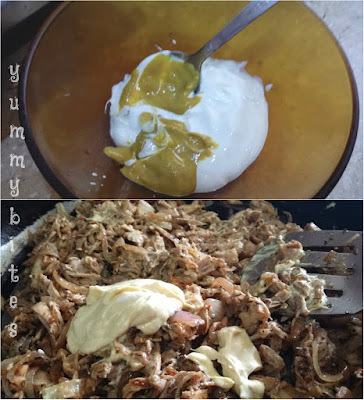 It is inspired from Poulet de citron Crème Fraîche a very taste creamy saucy chicken recipe, watched the recipe on BBC Food. 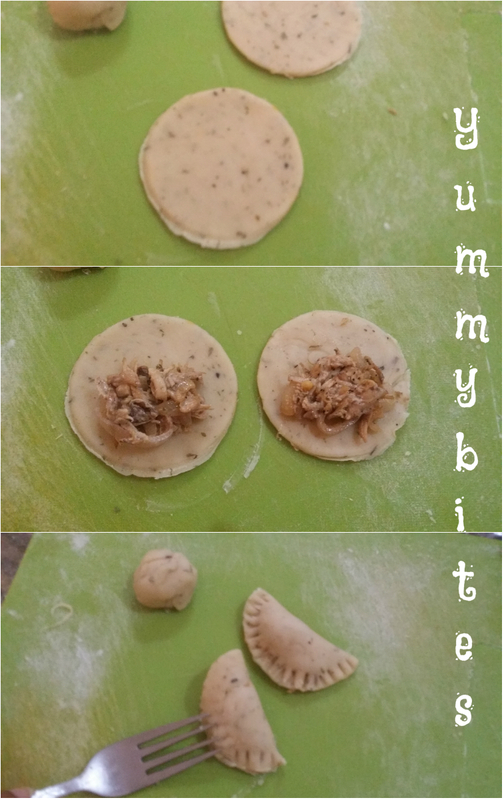 I took that recipe and filled that in pie crust to make innovative fried empanadas or you can call them mini pies. My whole family loved the flavor and crispy crusty snack for iftar. 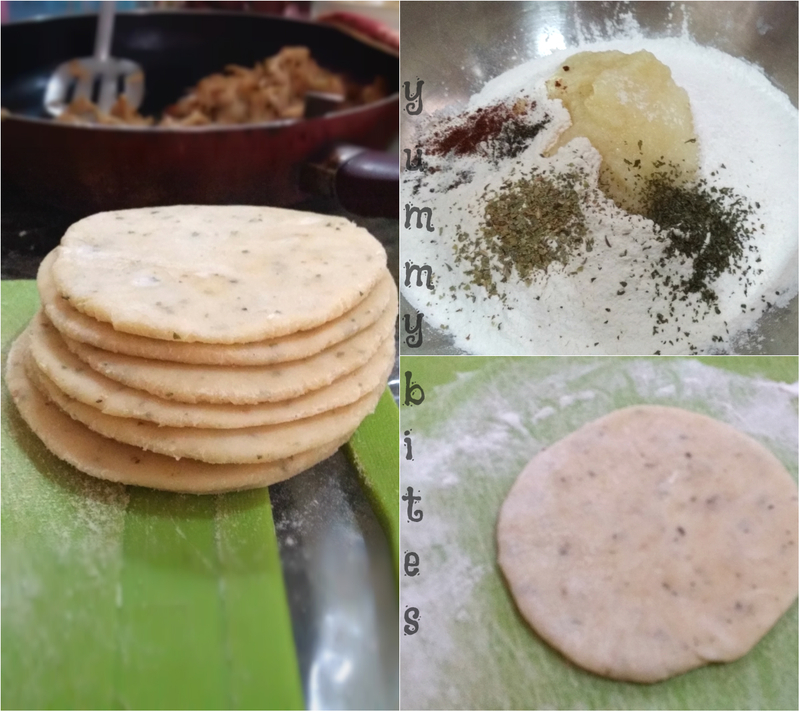 The fact is you will only need 2 main ingredients for the stuffing and dough is as simple as smile you can make these pie ahead of time and refrigerate for days to enjoy latter at iftar. 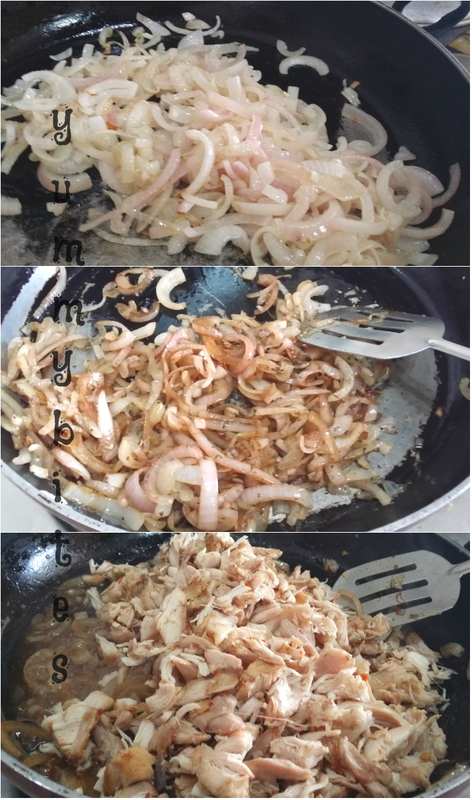 Heat oil in frying pan , put sliced onions and salt together and saute onion till become translucent. Add half of the soy sauce, worcestershire sauce, balck pepper and mix well. Add oregano and parsley and cook till onion are soften. Add chicken stock, reduce the heat and put the lid on for maximum of 5 minutes. Open up the lid add shredded chicken, remaining half of the soy sauce, worcestershire and black pepper and mix well. Mean time mix the sour cream, mayonnaise and mustard paste in a blow. turn off th heat and put the cream mixture into the chicken and onion and mix to coat all the material in the creme. Take the flour in large bowl, put ghee, salt, pepper, herbs and kneed a smooth soft dough. Make small circular flatten breads ( preferably of pancake size). 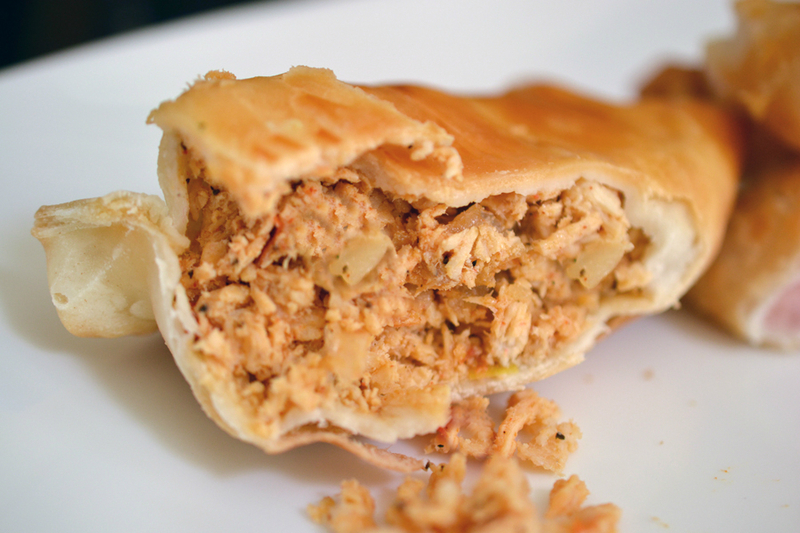 Take an empanada maker + cutter, put a round flatten dough, a tbsp of mixture on it and press, remove the excess and use that again. This tool is easily available at baking super stores. Even if you dont have it you can make pie by hand and with the help of fork as concealer. Make large round bread, cut off small circular to make crust, put the mixture in the center and take the one half overlapping the other, and conceal with legs of fork. 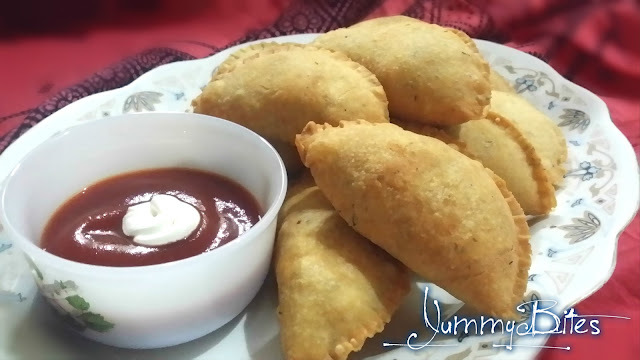 Bake or Fry the empanadas and serve hot with mint chutney Mint Chutney or ketchup. Enjoy you Iftar...! !